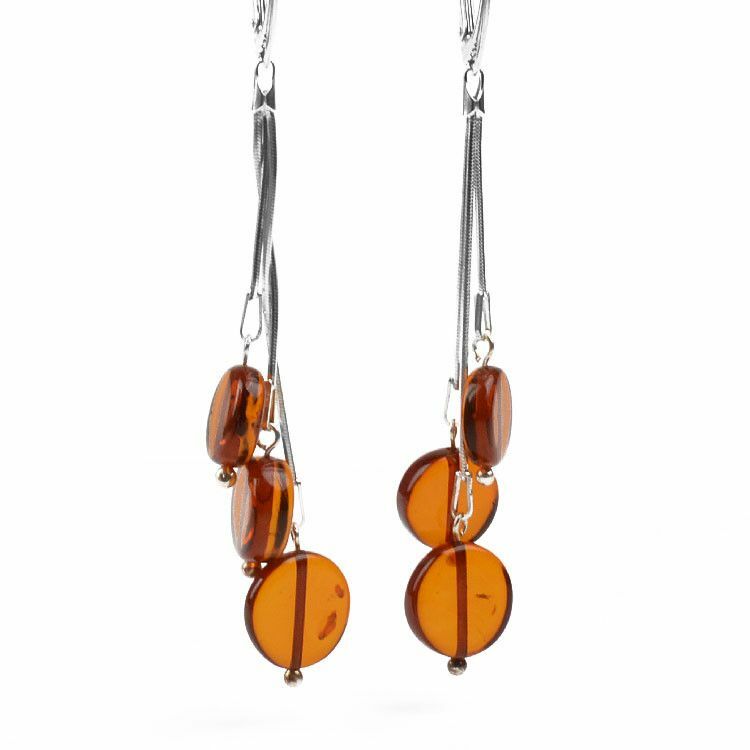 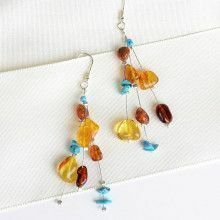 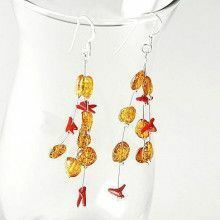 Sparkling sterling silver and honey color amber discs come together to make fun, beautiful, and easy-to-wear jewelry. 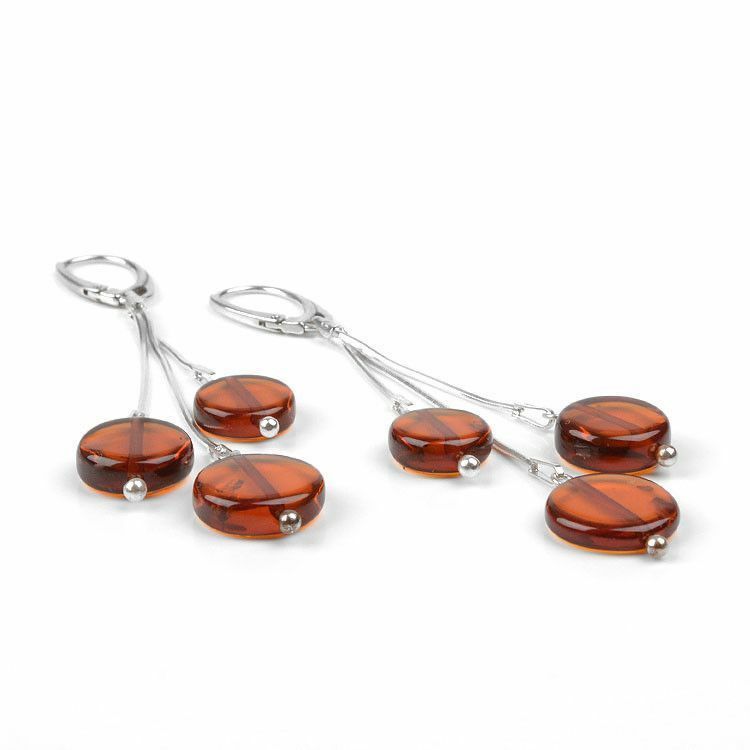 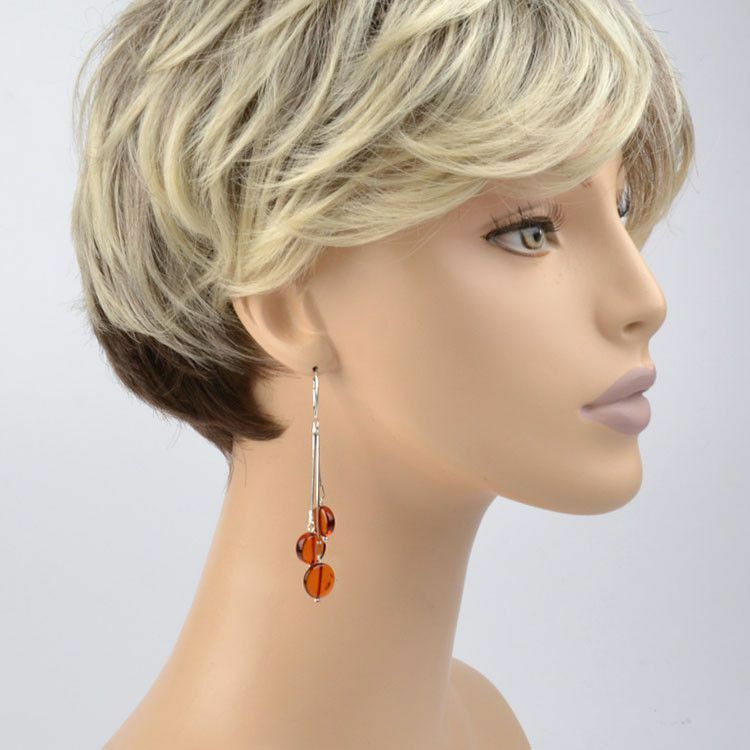 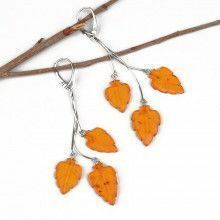 These eye-catching earrings dangle from polished sterling silver lever-back clasps and showcase 100% genuine Russian amber. 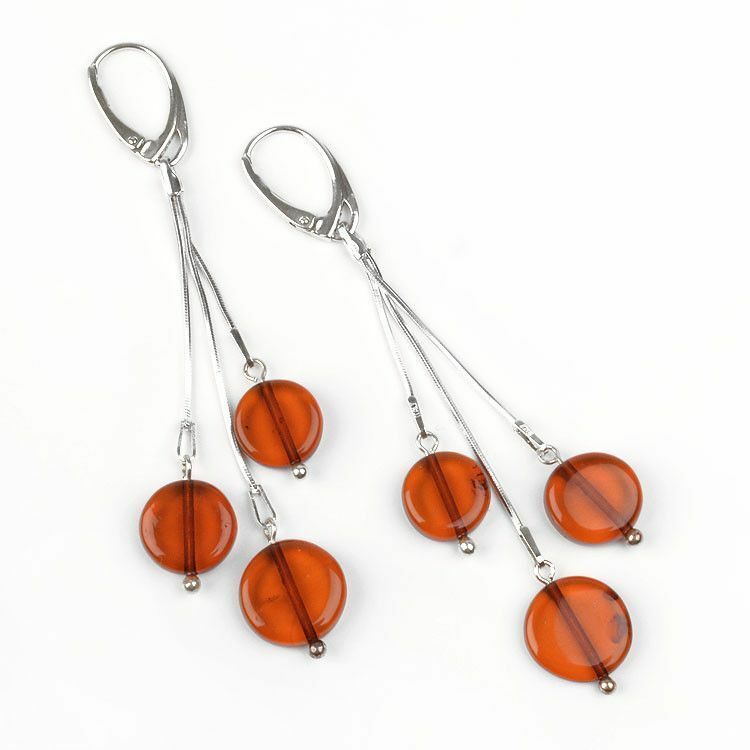 Earrings' length is about 3 1/4” and the largest round disc is about 1/2" long. 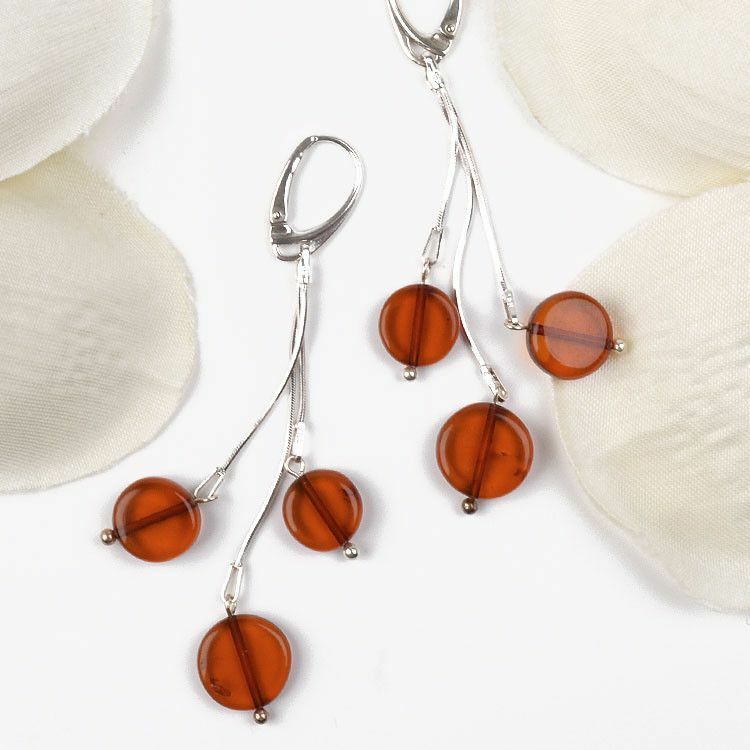 Lightweight, never-go-out-of-style jewelry gift idea!